Comments: Flowers appear in spring. Unique to this cultivar are its glossy, rounded dark-green leaves. 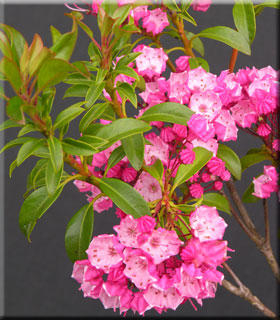 One of the smallest forms of Kalmia.